The Soterix Medical individualized modeling service is based on the high-resolution modeling pipeline developed over more than a decade of innovation. 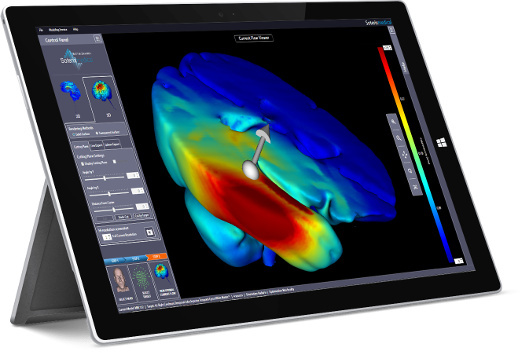 Beginning with the first high-resolution model (Datta 2009), the first high-resolution stroke model (Datta 2011), sophisticated and rapid optimization algorithms (Dmochowski 2011), the first automated pipeline (Huang 2013) to the intracranial validation (Huang 2017) with several other innovations along the way, this pipeline opened new realms of possibilities for personalized models. Use the model predictions to understand inter-individual variation, correlate stimulation outcome, design optimal stimulation strategies or to simply visualize flow due to a chosen electrode montage. It is the only pipeline that has been validated in several forms from correlating to functional MRI (Halko 2011), experimental neurophysiological validation (Edwards 2013) to scalp potentials (Datta 2013). Furthermore, it has been directly validated using invivo human intracranial recordings (Huang 2017). The pipeline can account for aberrant anatomy (cortical lesions in stroke subjects, skull defects in TBI, etc.) In combination with the revolutionary targeting algorithms that execute in a matter of seconds, the Soterix Medical Individualized Modelling approach reflects the most technically advanced modeling and targeting solution. 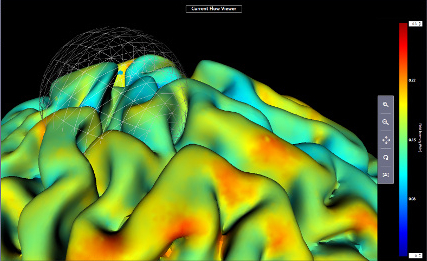 Simply upload your subject-specific scans straight from your neurotargeting software interface to the cloud. The data is automatically encrypted and secured using an unique password. Soterix Medical Modeling team downloads the data to its local machine, processes it and uploads it back to the cloud. 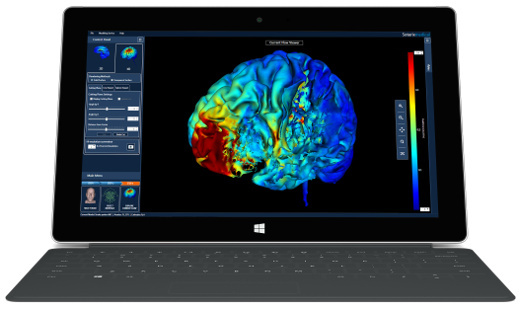 Download the computed solutions into your local machine to add the individualized head model to your license. 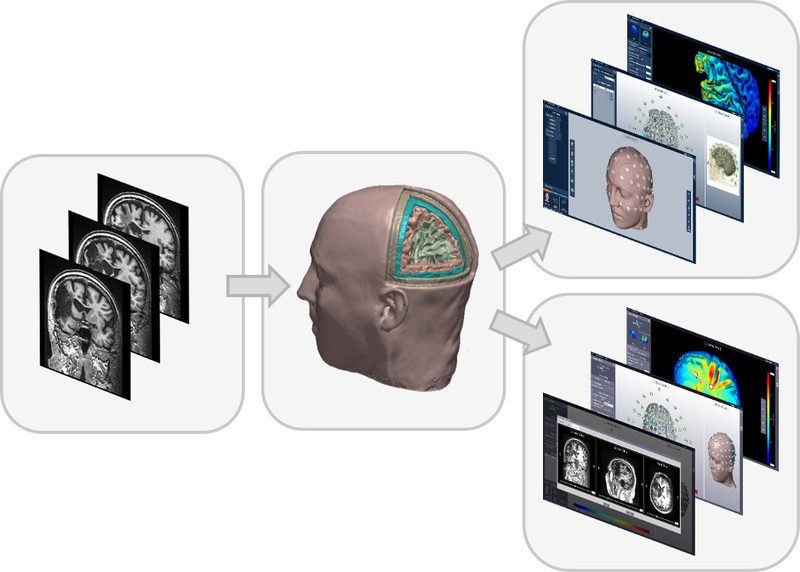 View segmentation masks in 2D / 3D. 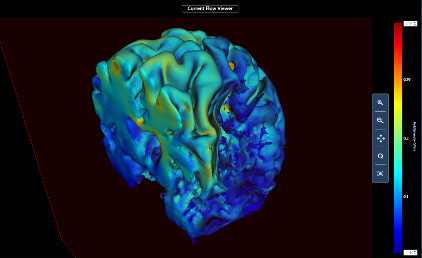 View current flow simulation in 2D (axial, coronal, sagittal directions) at 1 mm resolution with / without corresponding MRI overlay and current direction vectors. View current flow simulation in 3D. Option for 3D Sliced view. Option for 3D Transparency view. Data export (line and sphere) for additional post processing. Save montage feature for quick look up in the future. Ability to incorporate neuronavigation-derived coordinates for simulating true electrode placement. 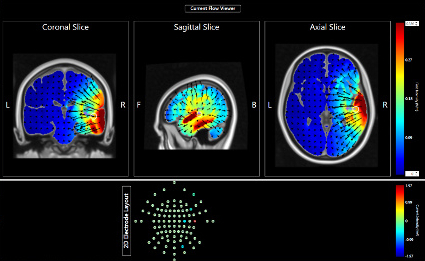 View optimized current flow simulation in 2D (axial, coronal, sagittal directions) at 1 mm resolution with / without corresponding MRI overlay and current direction vectors. View optimized current simulation in 3D. Option for 3D Sliced view. Option for 3D Transparency view. 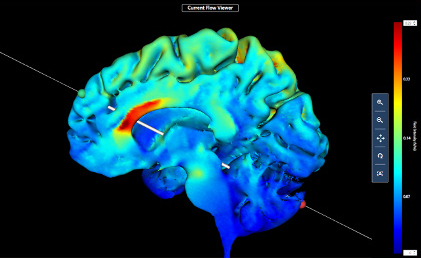 Use Reciprocity principle to target source of recorded EEG.